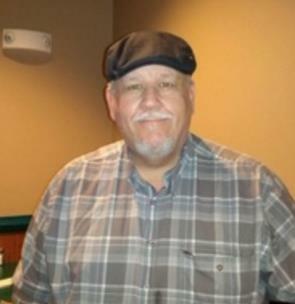 Burnard Steven “Steve” Thomas, 63 of Cleveland, departed this life on Friday morning, January 18, 2019, at Tennova Healthcare in Cleveland. Born on July 14, 1955, in Cleveland to the late Bedford and Barbara Hicks Thomas he was a lifelong resident of Bradley County and was employed for several years at Ledford Machine and Supply. Steve enjoyed hunting, fishing, riding motorcycles, and spending time with his family and friends. Survivors include his sister, Lori Blair; brother, Mike (Janet) Thomas; sisters-in-law. Deana Laudner and Susan Ricks; and brother-in-law, John (Karen) Ricks as well as several nieces, nephews, and other extended family. A graveside service to Celebrate Steve’s life will be held at 1p.m. Tuesday, Jan. 22, at Michigan Avenue Baptist Church Cemetery. The family will receive friends from 5-8 p.m. Monday, Jan. 21, at the funeral home. In lieu of flowers, the family suggests memorial contributions to St. Jude Children’s Research Hospital at www.stjude.org. We invite you to send a message of comfort and view the family guestbook at www.serenityfunerals.com.